Feeling That Old Paranormal Spark Again! It had been quite awhile since really going out and getting into the thick of things. I mean, haunting, grass roots paranormal style! For awhile there I felt that I had lost myself as to where things stood with my position in the community on a whole. That I was trying to do too much, thinning myself right out and totally losing that focus, the real reason why I do this. I gathered the troops, a few of the SOPS members and traveled to a favorite location of mine, the ruins of the German Mill located just south of Cambridge, Ontario. We had been there several times over the course of the last few years, but sadly have found very little in the way of “evidence” to back any claim of this area being active or at least as of now. Though in the beginning upon our first daytime scouting trip to the mill did produce a very demonic sounding EVP. There has been some very mysterious drum beats in the distance playing out on a few occasions, something after looking further into still remains unknown in origin. Still, the research continues in hopes that we will indeed be successful soon. Anyhow, this latest visit was different on a whole different scale. For the first time in quite awhile, it felt honest, it felt like the old days, and most of all the most important aspect of why I like investigating the paranormal came back. Not only that, it seemed to have opened up my senses more. No, not claiming in a psychic way, but as a whole better understanding the complete environment around me there. Who knows, the first step to becoming a full fledged medium….I don’t think so! 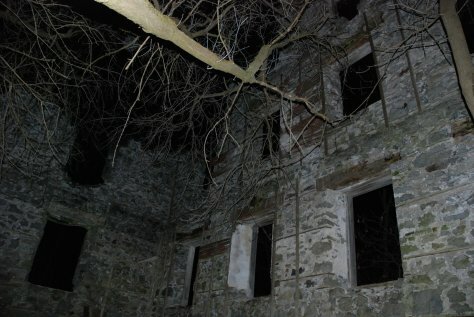 With this renewal like experience where investigating the paranormal is concerned. It has my thoughts racing as to bringing together a busy schedule for the SOPS teams. Visiting locations we have wanted to for a long time. Yet, exploring completely new locations or locations that have yield themselves to us consciously. Whichever way the direction runs in this year, I’m just glad that things seems to be moving in the right direction. I look forward to networking with many of those in the paranormal. reconnecting with old friends and meeting new ones.